Continental Motors Group has entered a strategic partnership with Liaoning Cub Aircraft Corp to be the engine provider for the Top Cub, the first kit aircraft built in China, for the Chinese market. 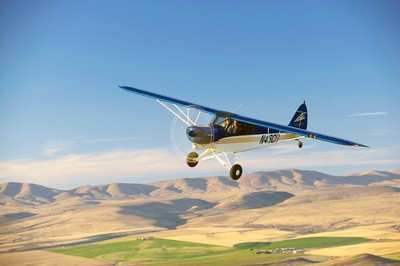 The experimental Top Cub is based on the Part 23 certified Top Cub CC18-180, originally designed by CubCrafters and acquired by Top Cub Aircraft Inc., a subsidiary company of Liaoning, in 2015. The availability of the Top Cub as a kit aircraft, powered by a CMG Titan kit engine, marks the opening of the experimental market in China. Top Cub Aircraft and Continental are the first companies to offer a complete aircraft in kit form, after the Chinese CAAC agreed to allow experimental building in China. The partnership with Continental Motors materialized with the delivery of the first 6 engines kits, after the CAAC validated the experimental building rules. These Titan engines are destined to equip the first six experimental Cub to be built in China by their owners. Installed in the high-performance Top Cub, the Continental Titan IO-360 demonstrates a proven history of reliability, performance, and power. The 361 cubic inches fuel injected four-cylinder piston engine uses a 9.0:1 compression ratio and outputs a powerful 180/185 maximum HP is offered in a versatile design with customization options. Liaoning took advantage of these customization options and set the exact engine specifications they needed to establish their position in a growing market for general aviation in China. Together, the combined flexibility of the Top Cub two-seater airframe and the power output of the Titan IO-360, its low weight of 270 lbs. dry, and its 2,000 hours TBO makes it the ideal engine for flying in and out of the most rugged airfields while cruising at high speed.